The National Institutes of Health, looking to leverage cloud computing to break down barriers to accessing of large biomedical datasets and enable easier computing for researchers, is looking to the private sector with its new STRIDES Initiative. The first company to sign on with the project – it stands for Science and Technology Research Infrastructure for Discovery, Experimentation, and Sustainability – is an outfit you might have heard of called Google Cloud. NIH says it wants to give biomed researchers "access to the most advanced, cost-effective computational infrastructure, tools and services available," through STRIDES. With help from Google, and eventually other companies, it hopes help remove financial and technological barriers to getting researchers access to large datasets. A guiding principle of the project is to incorporate standards endorsed by the biomed research community to make data FAIR: findable, accessible, interoperable and reusable. By launching STRIDES, we clearly show our strong commitment to putting the most advanced cloud computing tools in the hands of scientists," said Andrea Norris, NIH's chief information officer. "Beyond our partnership with Google Cloud, we will seek to add more industry partners to assure that NIH continues to be well poised to support the future of biomedical research." 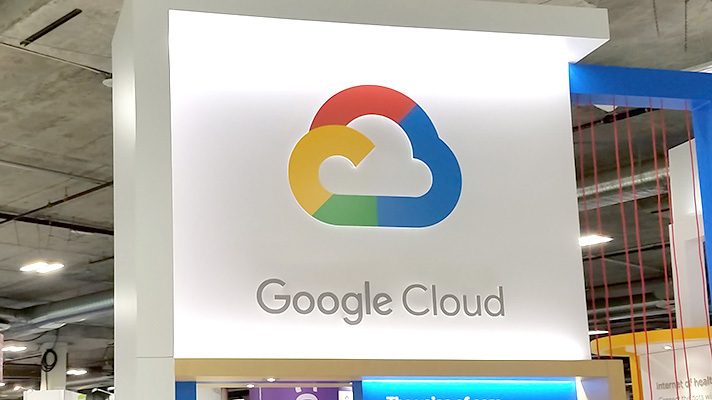 The agreement calls for Google Cloud to build a cost-efficient framework for its researchers, according to NIH, but also accessible by other researchers at some 2,500 academic institutions nationwide. Easy access to Google's storage, computing and machine learning technologies will help speed discoveries of new precision medicine techniques and other biomedical breakthroughs, the NIH hopes "The STRIDES Initiative aims to maximize the number of researchers working to provide the greatest number of solutions to advancing health and reducing the burden of disease," said NIH Principal Deputy Director Lawrence A. Tabak. Key to the new initiative's success will be collaborations with various projects of NIH's Data Commons Pilot, which was launched this past year. That public-private partnership comprises companies such as Seven Bridges, Elsevier and Boston VA Research Institute – the latter of which helped build the Million Veteran Program, the world's largest genomic database – and NIH says they'll help innovate with more ideas for working with and sharing data in the cloud. "The volume of data generated in biomedical research labs across the world is growing exponentially," said Gregory Moore, MD, vice president of healthcare at Google Cloud. Through the STRIDES initiative, Google aims to make it easier for "scientists and physicians to access and garner insights from NIH-funded data sets with appropriate privacy protections, which will ultimately accelerate biomedical research progress toward finding treatments and cures for the most devastating diseases of our time," he added.